Regulates healthy cholesterol level: Flax oil is rich in Omega 3 and Omega 6, and regulates cholesterol levels in the body. 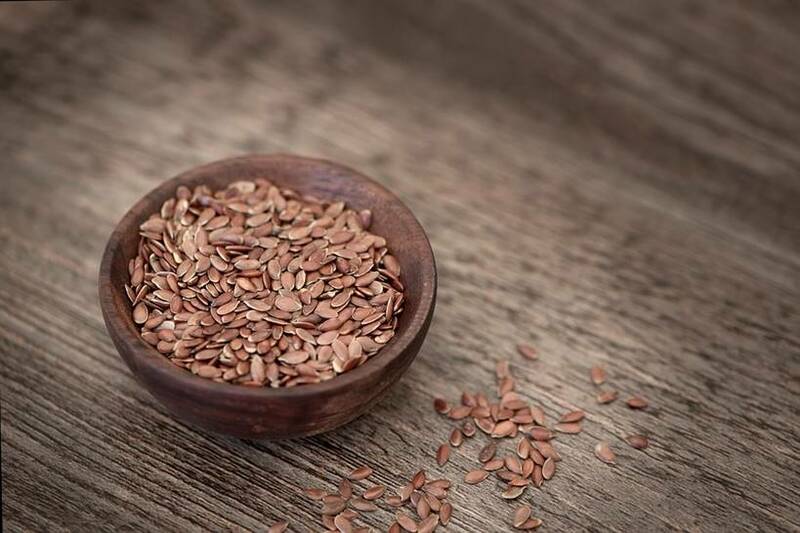 Promotes a healthy heart: Laden with fatty acids, these flax oil promotes healthy artery functioning and prevent heart-related problems. The presence of these acids in flax oil also aids in reducing inflammation and blood clotting, as well as promoting overall heart health. Helps reduce the risk of cancer: Flaxseed oil is high in antioxidants and helps prevent healthy cells from turning into cancerous cells. It also has anti-inflammatory properties that reduce the risk of developing various forms of cancer. Boosts digestive health: Loaded with soluble fiber, flaxseed helps to regulate digestion by improving the absorption of nutrients. The laxative properties further smoothen the digestion process. Constipation: 2 tablespoons of flaxseeds has been shown in research studies to alleviate constipation. Menopause: 4 tablespoons of flaxseeds per day can halve the amount of hot flashes in post-menopausal women. Improves overall brain health: Enriched with Omega 3 fatty acids, flaxseed helps to promote and regulate overall brain health. Alpha Linolenic Acid (ALA), a type of omega-3 acid present in these capsules, is especially linked to good brain health. Provides skin and hair benefits: The omega-3 fatty acids in flaxseed oil contribute towards strengthening hair and reducing hair fall. In addition, these acids help in promoting overall skin health by keeping skin hydrated, smooth and moisturized along with preventing pollutants to enter our skin pores. How to add Flax into your diet?